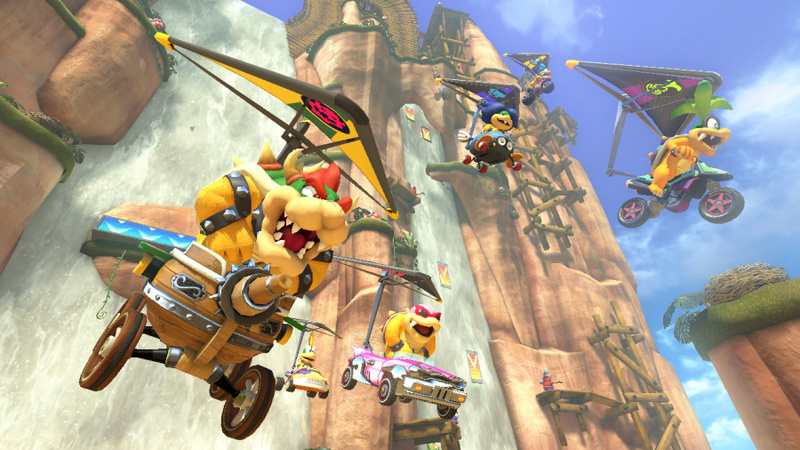 Mario Kart 8 is now well and truly settled in on plenty of Wii U systems around the world. It seems that Friend Lists have never been busier, too, as a quick glance at almost any time of the day shows most are actively blasting around tracks. If you're a Wii U owner, there are decent odds this applies to you. That's also the case for plenty of Nintendo Life contributors, of course, and many were involved in the launch day excitement of taking Nintendo's racer for a spin. With a full day of gaming — and a little more besides — now done, the team is sharing its first impressions. We've done a review and lots of coverage, yes, but this is a chance to gauge a wider perspective on whether this latest entry in the esteemed franchise lives up to expectations. This is a chance for you all to chat excitedly about the game too, now that most are in their second day with it — is it everything you hoped it'd be? First things first, here's what a large part of our team thinks. At the time of writing I'm currently on the opposite side of the state, and about a four hour train ride away from my Wii U. My copy of Mario Kart 8 is all paid off and currently sitting on a store shelf or packed away somewhere behind the counter. 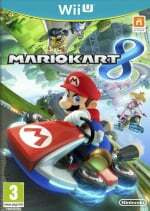 I am very impressed with how well it is being received by almost everyone who has played it, but for me personally, MK8 has been awful so far. My Twitter and Facebook accounts are full of people praising the game and there's nothing I can do. It's taunting me. This is a nightmare that I can't wake up from! I really needed something to look forward to at the end of this week and Mario Kart 8 has not disappointed one bit. After taking a few minutes to soak in the rich title track and watch Toads float above the earth, I jumped in and hit the tracks. It's amazing how the anti-gravity element is both so subtly implemented, yet makes you change some of your karting instincts. I have blown by anti-grav opportunities for a couple laps sometimes before realizing they were even there, and when I have taken advantage of them, I've caught myself naturally veering away from obstacles instead of toward them for a spin boost. Give me some time, though, and I'll be driving up walls and colliding with things just like a master driver! Since I first booted up Mario Kart 8 today, I haven’t been able to wipe the smile off my face. Gorgeous HD graphics, perfectly polished controls, fantastic racing action, and a beautiful soundtrack - it’s everything I wanted in a new Mario Kart! But what’s stood out most to me so far are the fantastic course designs. Not only are tracks like Toad Harbor, Shy Guy Falls, and Mount Wario a blast to race through, they’re also incredibly inviting worlds in and of themselves. Each one feels big enough, different enough, and vibrant enough to play host to a standalone game, making me dream of Jet Grind Radio-ing my way through Toad Harbor’s steep streets, exploring the busy backgrounds of Shy Guy Falls as part of a 3D platformer, and steering 1080°’s Akari Hayami down Mount Wario’s slalom slopes. There’s so much creativity and charm packed into these circuits that it almost - almost! - feels wrong to speed through them at full tilt! I’ve only gotten as far as the Star Cup so far, and I can’t wait to see everything that’s up ahead; Rainbow Road or bust! I've been rather greedy with Mario Kart 8 so far, focusing almost entirely on single-player from the moment I got my hands on it. It's amazing of course, and a series of complex excuses mixed with more than a few stealthy escapes allowed me to take most of the day off from boring reality to play. I won't bother repeating just how gorgeous it is, because by now you know, but I do want to point out some musical touches I really like. Nintendo seem to be enjoying contextual changes to their soundtracks lately, which is a trend I hope continues on for quite some time. Subtle changes to the music really help add to the atmosphere and spectacle of every race, whether its the storm-driven guitar of Cloudtop Cruise or the rhythmic mining on Shy Guy Falls as you pass by their machinery. It's a minor feature, but one that struck me right away. Day 2 will be the real test, as I bring round a group of friends and finally put the split-screen multiplayer through its paces. Although Battle Mode is pretty iffy from what I've tried, there's no way that this isn't going to be a good time with a full set of four players all willing to commit murder in the name of victory. Very, very happy so far! My first day with Mario Kart 8 has been one of pure delight. From noon until midnight, almost uninterrupted, my wife and I tested all the characters, explored all the courses, and said "holy crap this game is beautiful" with such frequency that we barely had time to discuss how much of a bully Donkey Kong can be. Well, maybe that last part is a tad exaggerated (we poked fun at DK plenty), but holy crap this game IS beautiful. The best part, though, is how impeccably it plays. It's smooth, it's tight, and it's possibly the best-feeling kart racer I've ever had the pleasure of playing. While the lack of a traditional battle mode hits hard, I have no doubt this is a game I'll be playing with friends and family for months to come. Probably even years. I know it's been less than 24 hours as I write this, but I can't help to admit that I'm head over heels for Mario Kart 8. 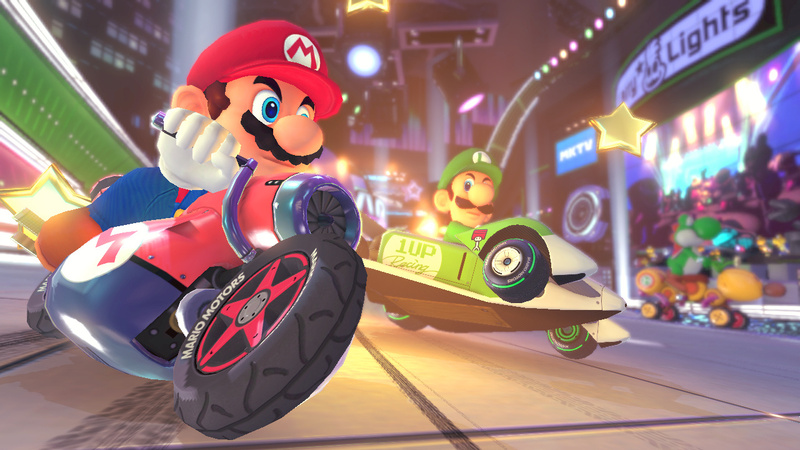 I haven’t really got stuck into the online portion of the Mario Kart 8 just yet, but based on everything else I’ve experienced of the game so far – I’m impressed. This latest entry in the series carries across all the good parts of Mario Kart 7 – which was pretty much everything – and adds a brand new mechanic along with a touch of high-definition to freshen things up. The new Battle Mode is something I’m still getting my head around, and whilst it does appear a little slack recycling tracks instead of creating entirely new arenas, I think Nintendo might be onto something here. The only real bummer is that Peach’s Castle is no longer accessible on Royal Raceway. Heck, maybe I’ll just fly over the gates. Mario Kart 8 is by far the most fun I've had playing a karting game in quite some time. Although the graphics drop a bit in multiplayer mode, they are for the most part some of the best the Wii U has to offer. Also, the new maps are some of the most creative I've seen in the series. The anti-gravity sections in particular are a welcome addition to the racetracks. I was a little disappointed to see that half of the tracks were remakes from other games. The roster is alright, but there are too many koopalings and babies for my liking. I've yet to delve too deeply into the battle mode or online play, but so far I'm liking what I'm seeing. If you have a Wii U and a group of friends to play with, Mario Kart 8 is a must buy. I love how undeniably shiny MK8 is. I've seen some people complaining about the game running at 59FPS instead of 60, and I'm relatively sure that they're the sort of people that would complain that their wallet was too small if they won the lottery. The whole thing is stunning to look at, with Electrodome being notably breathtaking. I have a soft spot for the twists and turns of the Mount Wario course though, it has to be said. Online has been absolutely flawless for me, with either one or two local players, and I can safely say that I'll be playing this one against the world for a good while to come despite the fact that I'm utterly terrible at it. I would have liked more courses from the Wii version but hey, you can't have everything! Absolutely essential, I say. So those are our thoughts, let us know what you think of Mario Kart 8 in the comments below. Whats impressed me the most is the balancing of the game. Everything is just so much more FAIR. The most racing oriented MK ever. I don't like the Coin Item. It's way too frequent, I got it 5 times in a row on one course and in-between each time I was always getting a red shell from the player behind. When ever I do get a Banana or Green Shell now, I'm clinging on for dear life. Also, I'm not seeing Blue Shells on every course, but on a course that I do, I see it at least twice. Maybe it'll take some getting used to, but so far Mario Kart 8 seems like the most challenging edition. Best mario kart ever. Therefore I will only mention cons to this point in my initial impressions. 1) both rainbow road levels are major disappointments. Especially the 64 version being to short. 2) the game pad struck out as it mainly displays a (useless?) giant horn button. Would've rather had something functional like a rear view on game pad. The new balance for items makes online far more enjoyable plus how quick and seamless transitions are between modes is very impressive. I think the game is excellent. Got the game, but yet to play it. But when I do, it's rest assured to get some quality play time. All those videos on Miiverse make me envious. If only tests were finished for me, instead of needing to study... Oh well. N64 Rainbow road is WAY to short. The coin item is ridiculously common. It's so annoying. Also appearing far too often in my races is the Super Horn. Supposedly the rarest item in the game. Not in my experience! I've seen it so so sooooo much more than the Piranha Plant, Bullet Bill and Boomerang. In one race, at the first set of item boxes, myself and 3 other racers all got the Super Horn. That's 4 people getting the super horn at the first set of boxes! That's insane! Battle Mode is the only real problem though. It's horrendous. I don't know what Nintendo were thinking. They might as well have left Battle Mode out completely if this is what they're going to do. Apart from that, game is utterly fantastic. Best courses ever in a Mario Kart game to date. By an extremely large margin. Game would be absolutely flawless if it actually had a proper Battle Mode. And if the Super Horn appeared a bit less. Rear view would give an advantage to that player over other players using different control methods. I agree that it would be a cool use of the gamepad, but when you consider Nintendo don't want to give any single player the advantage over the others, it's understandable why they didn't do it. Also, change the gamepad view to the map. The horn is for children, and if you watch children play it, they do like having the horn on the gamepad. A feature which has been very endearing to me is the little interactions between the racers, especially as you can see during the highlights. For example, if you honk your horn near another racer, it will startle them. When you watch replays, the level of interaction between characters almost makes it feel like you're watching a cartoon. @IxC I agree with that. But they could've disabled it in multiplayer mode. My GOTY makes an epic success! Great game. I just want to be able to swap karts in between races. Is there really no way to do that? I have to back out of the lobby to change my setup. Am I missing something??? It a pretty good game. It just seems like it is missing something. I would give it a 7/10. Is it more fun playing with people? I have only played by myself thus far. Overall impression: best Mario Kart to date. I love the item distribution in MK8- it's much more fair, and I especially love that they eliminated the item bullpen. The handling is spot on, with a wide variety of drifting mechanics depending on the character and cart selection. I also love that there is now blue shell defense (obliterate with horn, dodge with mushroom, etc). The courses are spectacular- smooth and fluid, the way it should be. Rainbow Road is SO, SO, SOOOO much better than that of Mario Kart Wii. I hated the Wii Rainbow Road because the turns were awkward and it was not designed in a way that the player could transition from one turn to the next without falling off the track. This Rainbow Road does it perfectly. It pushes the limits and you will be riding the edge of the track more often than not, but it's designed so that you CAN stay on the track at full speed. As for Mario Kart TV, it's excellent. When you have a rivalry going, it's fun to select those characters in question and watch the highlight reel play the 'back and forth' antics between those racers. Just brilliant. And the Youtube uploads? Nintendo nailed it. Nobody wants to share pics on Facebook. Youtube is where it's at. I never used to race on bikes until now, OR use heavyweight characters for that matter. Yet now I find myself using Ludwig, ON A BIKE, and actually winning! This opens the game up so much for me personally, because characters and carts I normally would never even consider, are now a viable option. I know this is not the first entry to offer customization, but it seems to be the first to get it RIGHT. I'm focusing on playing Grand Prix offline right now and unlocking all the characters and stuff first. Once I have the full roster, and good selection of carts and stuff, I'll move into the online mode. Also, I gotta say I actually like how the gamepad is used. Alot more than I thought I would. I find that this is a game that's too hectic to be looking down at a second screen often, so it's nice just throwing the map on the pad and using it to see how far ahead in 1st I am from time to time. And I love the little windows used to transition the different uses. SO glad I took Monday off for a 3 day Mario Kart weekend. Well, time to get back to my race! No complaints here. Fantastic control (I'd expect nothing less from Nintendo) and baby-bottom smooth framerates are all I've seen. Even my wife has been impressed. Only problem has been the weathers been so nice here we haven't had much chance to play. The game is extremely well balanced (Kart and racer wise, not necessarily items), beautiful and on the edge of your seat. You can tell Nintendo took their time and a lot of care with it. Though I do agree with everyone who said the coin item comes up way too frequently, though to be fair, I've only ever seem to get it often when I'm anywhere above 4th place it's really common when I'm in 1st. I'd personally would have liked more defensive weapons that I can tow (i.e. bananas and shells) when I'm commanding the lead, that way I don't get hammered as often by everyone behind me, causing me to drop a few spots. It's kind of frustrating when that happens. The new battle mode is fun, but I do hope Nintendo patches in some proper arenas. That's where the magic's at. I wouldn't be surprised if this game gets several GOTY treatments. This game is hands-down the most fun I've had with any game in a while. I'm just interested on what the game sales are going to be, I haven't played it yet since I don't have a Wii U yet. But the game looks awesome!!! This game is amazing the only thing i hate about it is the roster where is drybones? I miss him bring him back nintendo i dont even care if it's paid DLC i would pay to use him again. It's a simply amazing game! @kereke12 go get a Wiiu. The free game promotion with MK8,amazing deal. I recommend Pikmin 3. Or WWHD. Go NOW! Nintendo has arrived. Bring on E3.. I gotta say, I'm slightly disappointed. While Mario Kart 8 does many things right, there are some issues that really diminished the fun I had with it. The controls are really good, making it rarely seem like you had no way of avoiding a crash. The variations and differences of vehicle setups is much more fleshed out than in MK7, and the visuals are top notch. But there are some hefty downsides. Some vehicle parts have identical stats, making it kinda confusing why some of them are still so far away from each other. Some way to sort parts would really help. The tracks feel somewhat drawn out, despite them not really being that long. I think it's because they're so overloaded, it's difficult recognizing certain points, which in turn makes the tracks feel longer than they are. And lastly, the roster is lacking. A lot. Aside of all the characters from previous MK games, several other new characters were missed out on, and that's just sad. Overall, I can say this is a really good Mario Kart, but even this one can't compete with Double Dash, and it's starting to tire me to realize that with every Mario Kart game so far. Great game! Really enjoying it. The graphics are gorgeous and the gameplay is brilliant. It's a shame the rear view mirror isn't on the game pad though! What a missed opportunity! I can't understand why the game pad functions are so limited...surely they could have used it for something more innovative than a map and a horn :-/ But that aside the game itself is fab! Amazing game. This deserves to sell 30 million copies. I love absolutely everything about Mario Kart 8 so far, but my only problem is that I keep getting communication errors when I race online. I'll be in the race for about 30-45 seconds then I get an error code and I'm forced back to the main menu. I'm just gonna write it off as launch week issues though. It looks great but its not perfect. There's a few things missing from previous games, and I'm not talking about courses or characters. Just little things, miniscule on their own but when they're all together missing then its noticeable. For one, I miss the best five times in time trial. I liked to work at filling up the boards with my best times, not just my one best time as it is here. I have to agree with Liam Doolan, the biggest disappointment in this game is not having accessibility to Peach's Castle on Royal Raceway. That was the first thing I tried to do after finding out the course was in the game. My biggest complaint to start was how bad my hand was cramping driving with the Gamepad. I was not just cramped but in pain after each race. Finally read the manual and found out I could use Y. Much better now. I could see MKTV being addictive if you have a lot of friends. I only have 1 but it was still fun watching my Mii comment and dance in front of his video. Actually posted 1 to YT just b/c. Ballon battle w/ 4 people is almost pointless. We didnt even see each other on the Yoshi level, last one bottom right, and we all died w/in a minute getting hit by cars on the road. Dont think we'll every play it again. I wish my Mii was unlocked from the start, I miss me. Besides that, looks great, and looking forward to winning every race in the game. Im 8 for 8 so far. Oh, and its a little thing, but I like the overall presentation, feels more like a real racing game than a karting game like on Wii.I miss my drivers license though. So far I've managed to win one online race. And frankly, I'll take that. Also what happened to being able to keep a 2nd item while towing your 1st? For me it's the best kart racer ever. While the roster could have been better, it's still very solid. It controls fantastically, looks amazing, online will get better (remember mk7?). Only one complaint from me, and that's the use of the gamepad in multiplayer. They should have allowed for a full screen tv and gamepad with 2 players, at least, if 5 players wasn't feasible. I'm getting Mario Kart 8 in a few hours! Hooray for excellently milked franchises! I can't recall where I read this but I totally agree that Future teams need to show progress on how, why, when I unlock new karts, characters, etc. This invisible unlocking is lazy and unpredictable to the user. They are on track with the coin collecting feature, but it's not quite realized. Controls are remarkable. Item balance is truly surprising. I say surprising because Nintendo can be arrogant on elements they believe are already suitable or prefect. Music is actually a letdown. I'm a big music fan and can't begin to think of one track that had tunes worth tapping my foot to or humming after hearing it. Not to say it's hateful, but not top quality. Highlight reel is pretty damn cool but has awkward camera angles. New tracks are fantastic. Visuals are a beauty on the 55". Overall great game 8/10. I miss my second item but it feels and plays great. Liking the highlights we can have, I wonder if it is a lead towards a Smash Bros version of it. It definitely looks like a fantastic game, but that character roster and knowing what to expect is preventing me from wanting to buy it. Picked up game yesterday. Spent few hours playing. Nice game but there is room for improvement. No map on main screen, also in local multiplayer It is anoin to have to wait for a human player in 12th spot to finish the race, heshe is last any way. To keep this game going Nintendo would have to release at least one FREE new track every month. Track ebitor would be the best. This game is the reason that I am now a Wii U owner, and so far I am impressed with the game. The battle mode isn't nearly as bad as people say, and that is coming from someone who is a big fan of the previous game' battle modes. It is what it is, and I like it. I also am surprised to see how good stages from older Mario Karts look in HD, as some are truly jaw dropping. Had some friends over just a minute ago for our regular Monster Hunter marathon. What started with a "want to take a quick look at MK8 ?" endet in a full runthrough through all 8 cups on 100cc with 4 players and some single races after that. Oh, and we played many many round of Nintendo Land and Game&Wario too. So, i have no idea where people are getting the idea that the WiiU doesnt have enough games to offer. The ones that are there are still a LOT of fun and arent getting old anytime soon. @rjejr OMG, thanks for the tip! I was actually having that exact problem! So I just started to use some of the other control schemes (mainly the Pro Controller) the buttons are so cramped on gamepad that any excessive use of the 'A' or 'X' buttons (i.e. as used in the MK8 setup) can be a chore for me, but I think that's due to me having large hands or something. I love Mario Kart 7, but the cramped nature of the 3DS kept me from finishing it. Something I didn't put in my earlier post that I just noticed is that you can slipstream on the bike and it gives you a boost in speed. It's a little detail, but it's awesome nonetheless. I've finished all cups with the new tracks, and Mount Wario is amazing. @Kaze_Memaryu I agree with the lack of characters. The Super Mario universe is rich with characters, why Nintendo felt the need to go with baby/metal variants of some of the characters is beyond me, at least outside of the theory that perhaps they wanted to artificially boost the human player count. Hopefully we'll get more characters as DLC... Everyone is praising DD. It's the one MK game I missed out on... Me thinks I need to hunt down a copy! Can someone please tell me that this game is worth getting? (Serious question and I'm actually longing for an answer). I've played EVERY Mario Kart to date (except 8 of course) and it seems like 8 doesn't add ANYTHING besides the spin boosts (Don't care for Mario Kart TV as it isn't part of the racing and anti-gravity doesn't seem to do anything but look cool in the replays). I was really hyped for 7 before it came out (and it actually seemed to have added more stuff than 8 like gliding, underwater racing, and custom parts) but it only took a few months before I was already looking for another game, which led to my purchase of Kid Icarus Uprising in March of 2012 (probably in my top 3 3DS games and I've played most of the big titles). What I don't wanna do is buy $60 HD DLC because I'm looking for new gameplay experiences, not the same experience I paid for a few years ago in a new coat of paint even though the tracks, music, graphics, and items look AMAZING!! Please! ANYONE!! Restore my faith in the Mario Kart series and show me why Mario Kart 8 is worth my 60 Washingtons!! I just got it today, I was playing single player first, I was doing good on every match, 1st place no problem.. then I went into online mode feeling confident as ever.. only to get hammered!!! I got 1st place twice in my last 10 or more races, but man it is the most fun I had online in any game thus far! amazing game, I get the feeling Nintendo will bring more dlc to this game but when you are having fun like I was, I could care less at this point. Battle mode is very boring and why can't the map be displayed on the TV for all to see easily? The speaker item doesn't come up enough and coins are too plentiful. These are my only substantive complaints so far. Otherwise I'm in love with this game… 9/10 quite comfortably. Really enjoy the game, a very solid 9/10. I think everyone has covered the same complaints I have: no map on main screen, roster issues, too short Rainbow Road (N64 version) and I didn't care for the new battle mode (though I admit, I don't do much battle mode anyway, so it is always underwhelming), and all in all, I think they are minor quips. The good thing: they could solve all of my gripes with minor patches/DLC! My biggest gripe now: how do I play single player with a different controller? I am a wiimote/nunchuk guy on MK, and although I wouldn't call the gamepad bad, it is not my first choice. You are asking an impossible question to answer. It is a great game. If you are "done" with MK, then you are done with it. It's a refinement of the game, but it isn't going in new directions (and I'm not sure what the new directions would be!). I like it, but I think "Mario Kart" fatigue is starting to set in for me. I've played hundreds of hours of the previous entries (owning all of them except the SNES and GBA versions) but its starting to feel a bit stale for me now, unfortunately. The track design and most of the music is excellent though! Absolutely loving it, though for some reason having eight cups feels a little light and I wouldn't have mind two more. Only 59FPS? I can't unsee the doubled 64th frame...Deal breaker! Actually, no...the game runs so super smooth it's a treat to play. Had my brother over for beer and MK8, and it reminded us of being kids again. It's a great game that makes competitive play so much fun. Only complaint I have is the roster seems a little weak. Too many babies and variants, not enough truly unique characters. At the same time, I love all the wacky and varied vehicles and customizations, especially the bikes. Every Mario Kart since Double Dash had disappointed me in some way, big or small. Mario Kart 8 is everything I would have put into a Mario Kart myself--minus the exclusion of battle arenas. The track designs are fantastic, online play works well, and the game is finally skill-focused again. It may not replace Double Dash as my number one, but it'll come close. I give MK8 a 10. I love almost everything about it, so I wanted to instead put my top 3 nitpicks about the game instead. By no means does this dock the 10/10 score I'd give it, but they were things I found a little disappointing. 3.) Seven koopalings, 5 babies, Pink Gold Peach?! You got 30 drivers but this list feels so padded that if they were a diaper they'd probably put your kid through to college. 1.) I hate that I can only carry one item at a time. Why? Why can't I hold a banana behind me for protection and pick up my next item for strategy? It's very disappointing to me that I have to ditch protection for hope that the next item is better than my only protection from red shells. Other than these points, the game is a hit out of the park. Stands to become my favorite in the series. And for those who are unhappy about the battle mode, the new battle mode actually made me interested in doing something other than race since MK64. It was a fun diversion, but the racing has always been the main draw for me in a Mario Kart game. Mario Kart 8 has so far been really amazing, it's the best Mario Kart I've played since Double Dash. I love every single new course, which is rare, since I usually have one or two courses I'm not so fond of. Even the retro courses feel brand new! Though it isn't exactly perfect, the roster selection feels really lacking in comparison to past MKs (Metal Mario and Pink Gold Peach feel like rather lazy additions to be honest.) and it's way too easy to unlock characters. I'm only one Koopaling short of unlocking the entire roster. Despite it's short-comings, Mario Kart 8 is really fantastic! I'll definitely be racing online a lot this summer! @SavoirFaire Oh ok, thanks. Could you please answer me this though? How much does spin boost affect the gameplay/flow of the game and are there a lot of opportunities to utilize it (lotta G-defyin' sections)? I appreciate you giving it to me straight Savoir. I'll be getting MK8 as soon as I can, but what's weird for me is that I see so many people who loved Double Dash. When the game came out, it was called the biggest disappointment by people online and was used to "justify" why the GameCube was awful compared to the PS2 and Xbox. It feels good to see the game finally getting the respect it deserved back then (and the GameCube in general...I'm loving how hyped people are for the GCN controller attachment)! Love it, love it, love it. It also has the return of an old favorite, Yoshi Valley from N64. One thing gets to me though. Sometimes during play back the characters look all black with no texture. I wonder why that happens. @IxC ...I've been playing for hours now! The coin item is wayyyy too common! I haven't got the bullet bill yet. or a blue shell. what ever happened to fake "?" boxes?! Coin and single bananas are way too common. I hardly ever get multiple blue shells. I don't like the items anymore. @AshFoxX I agree with all these points. now I'm ready for the next game! @JQuest - After another 4 win cup I have a feeling I'm going to need to switch to the wheel for 100cc, then maybe the Pro for 150 I'm just not as good as I was back on MK Wii, I'm blaming it on the Gamepad's weight. My useful hint for the day - drive on walls whenever possible, if for no other reason than to keep from getting hit by green and red shells, and less banana peels up there. Though I've only found them in 3 or 4 of the first 12 tracks I've played. Once was accidental in multplayer. Useless fun find of the day - when on the screen to choose 50, 100 or 150cc, the faster speed you pick, the more Mario enjoys the company of his steering wheel. If you move up and down a few times to some Barry White tunes it's really funny, in a Andrew Dice Clay sort of way. @Mr_Video wiimote and nunchuck are indeed supported. That's how I played the demo. I think even the classic controller/pro from Wii are supported control schemes. awesome article, i cant wait til next paycheck even more now! It was implemented to make the game more fair. I have seen, including myself, too many people win online races in Wii and 7 just because they hold an item behind them and have an item banked the entire time. You can chuck red shells all race and never catch up. Your only hope is a blue shell. The change was to balance it out to disallow a racer to win solely on the basis of a lucky start that put them ahead of the others. I'm really enjoying it right now, it's such a beautiful and balanced game. My only complain would be the lack of battle arenas and... That's pretty much it - it's nearly perfect. And I'd like to point out that those Retro guys who worked on some stages of MK7 are truly geniouses, their Rainbow Road is still better than the new one. @SuperMikey it's really fun, online is great, and it's mario kart the simplicity and the fun of playing with friends at your home is part of the charm. I don't normally let improved visuals affect me so much, but MK8 makes me want to drive slowly and just take in the sights! Its beautifully detailed with bags of Nintendo charm. Some fantastic new tracks and inspired choices on the retro remakes. Well done Nintendo and thank you. @rylo151 AHHH!! That makes total sense now. I thought something was wrong. @SuperMikey the game is amazing, also don't forget about the free game you get! MK8 has made me hate DK and Toad haha, they are always making final laps a hassle and DK has this face he puts of when speeding past me...its...evil. Anyway, I love this game so much! Like the game for the most part, but in MK Wii you could see all of your friends time trials in ghost times and compare them. Not available here. Nintendo, don't remove good features from old games. Looks lazy. Please give us a patch. I really enjoy Mario Kart 8. I love all the courses! And as for battle mode, I was disappointed with the levels being the ones you race on but now that I've taken the time to play battle mode, it's actually quite a bit of fun and am now glad that Nintendo decided to try something new (again) with battle mode. 9.5/10 is what I'd give it. Early days at the minute just taking my time working my way through the cups. The anti gravity mechanic is a blast. Had a go online as well on the N Life launch party that was a really fun experience. The game is SOOOO MUCH FUN! Like no joke. Haven't had this much fun playing a video game in a long time. It's especially fun playing two players online. And the graphics are SUPERB! Whenever someone else would play, I would just admire the map. All of the maps are gorgeous and putting aside a lot of particle effects and other minor stuff, proves the Wii U to be next gen as far as graphics goes. This game is just amazing. Personal like coin item helps me unlock car & bike parts quicker. Love graphics, online play has been flawless, I love customising my karts also love a hand full tracks such as - toad harbour, dolphin shores, cheep cheep beach etc. Oh and MKTV is great edition. Now few cons - To many baby characters and metal characters:/ i wanted to see dry bones, dry bowser, Diddy kong and birdo. would of loved see rob robot in all his HD shininess that would of been awesome. Last thing 150cc I was kinda shock last two cups - 50, 100cc were really easy then hit wall with 150cc were just down right unfair:(. Getting hit by 5 shells on last lap resulting in 1st to 6th place constantly on 3rd and 4th courses. I should say i know all tricks of trade as I've been playing mk for long time. but I just thought it was extreme spike in difficult all of sudden. specially when no way defend self against rapid fire shells every 2 mins which i didn't think was fair at all. All the above praise is warranted. For the first time in the series, Rainbow Road has not been reimagined for the final race in the Special Cup series. Why?! It was something of a tradition. Besides which I don't believe the N64 version included in the retro Lightning Cup series to be the definitive Rainbow Road circuit or make up for the exclusion of an original version. The coins are now somewhat pointless, seemingly only serving to cross the palm of Lakitu when he helps you back on track [way fast!] Is anyone stretched enough to see what happens when you have no coins and fall off a track? Why include such elaborate action replay coding in the game over less demanding content like original sandbox arenas for Battle Mode? I had hoped to see the return of the ALL TOUR CUP mode last seen in Double Dash - the ultimate test of one's mastery of the game - where all 16 tracks were raced in random order, back to back, in a single championship. Its exclusion from the Wii and now MK8 shows Nintendo's declining interest in making the single and local multiplayer experience as full as it should be - which is a real shame when you consider how little effort it would be to include both 16 original tracks and 16 retro tracks already on the disc in two all tour championship packages[original and retro]. Whatever Nintendo's reason for dropping it, I believe the 16 race series to always be relevant - real life racing series such as F1 and CART have a similar number of races in their season - while if you manage to tank one race in a championship, there's only so little fight back one can do with 4 races per trophy while clawing back a large points deficit over up to 15 more races can be much more exciting. -Battle Mode. It's not fun anymore. Fix it! -I also wish they'd have included a Double Dash mode and Mission/Challenge mode, just for old times sakes! -Oh and the ability to play splitscreen, with the TV and the Gamepad separated! -The items could be better too. They should've included all items from recent games! And I keep getting those damn coins, ugh! All that said, I'd give it an 8/10. The core game is fantastic, but it's lacking that extra something to make it the best Mario Kart. I'm pretty sure it was rushed to market to help the failing Wii U, but now that it is out; Use DLC to tidy it up, making it the DEFINITIVE Mario Kart and the system seller worthy of the hype! I wish I had the game.. I paid it a month ago but the post service is apparently messing with me and I still don't have it. @faustcoolio Seriously? One free track per month is just too much work, think about it! Maybe one in half a year. Track editor would be cool, but probably too much work too. Anyone who has uploaded to YouTube, roughly, how long has it taken you? It took me about 25 minutes. Nik-Davies, it took me around 5 minutes when I uploaded my first highlight reel to Youtube. As for the article, I watched the video Darren put up, and wow talk about a photo finish! NoE's localization center is in Frankfurt for Toadette's sake....How could they have missed that? It kinda annoys me. I'm having a great time with the game. It's excellent, and I need to get back into it, because the best I did online was third place last night. @theberrage This is an interesting one for the GamePad, I thought the horn was useless, but you can select one of the three views on the right of the screen to display in full so you can have the outline of the course etc. @xerneas look at comunity custum tracks for Wii Mario kart hundreds of high quality tracks. @Tender_Cutlet umm there is a new rainbow road in the game! are you blind, this game has 2 rainbow roads infact. I think I'm too spoiled on sonic transformed's tracks. The backgrounds are just so exciting you want to stop the race and just watch the scene play out. Here the most exciting thing is an airplane taking off. The track design is also weak. It's way to wide and there arn't any difficult corners. Special cup's rainbow road is completely lackluster and then n64 RR is really fun until you realize it's only one lap and it's over before you know it. Customization of the game would be nice, custom controls, variable lap totals, item selection and even number of item boxes on the course. Item boxes frequently appear in a wall all the way across the track so it's impossible to miss. It makes it a bit like playing smash with item appearance set to high. I didn't expect much because of how lazily gliders and underwater were implemented in mk7 but anti-grav is still mostly negligible. Sure it produces some neat little graphical effects but that about 90% of it. The other 10% is very minor, short, and mostly non-shortcuts. roster and battlemode, nothing more needs to be said about those. For me 7/10. Online and time trials will keep me busy but there's just not enough original here. There's no challenges or story mode type of thing, tracks are very easy, and it's defining feature is something as nintendo said "you won't really notice until you watch replays." Although at first I felt the horn in the gamepad was pointless, then I played it with Wario. I'm disappointed I can't play it yet as my pre-order from The Hut hasn't arrived yet. Stupidly they didn't dispatch it until late on 29/05, I certainly won't be pre-ordering from them again. Hope it arrives tomorrow so that I can join in the fun! @AshFoxX Ah, alright, I just wasn't sure. Thanks for clearing that up. After having just beaten 50cc, I must say I ADORE the visuals and music.I honestly don't mind the character choice too much, smaller characters seem to fit the game much better than larger guys. As for the battle mode, it is sad to hear about the map choices, hopefully DLC will fix that. The main complaint I have from my experience is that I can't download Pikmin 3 on my Wii U because I have to insert a code on my Gamepad, but the screen is damaged, so I can't type it in. Is there an alternative way to do this, or am I screwed? There are so many great things about this game, but the one I especially can't get over is the animation. Watching replays and seeing all the facial expressions and how the characters actually turn to look where action is taking place is AWESOME!! The graphics are stunning and so they should for a latest gen HD console, before I M.K8 arrived I had planned to play M.K Wii but never got round to it. I am not sure how much memory was left on the disc but I feel that the game all though charming and has a lot of re-play value I think they could have done maybe 5 or 6 tracks per cup championship, what I am saying is that the game 'feels' too short. I like the way the kart handles too, overall I'd rate the game 6 to 7 out of 10. @Mr_Mojo_Risin I think you might be as it says going into the shop /store that the game pad must be used, if I was you I'd contact Nintendo and ask them to fix your pad or borrow a friends pad so that you can get your game? I am hoping that Nintendo release a charts- list of which 'free' game people choose to download, It would be interesting to see what comes out on top. @thomasbw84 Will you be doing another NintendoLife MK8 tournament? Because I've just bought the game, and I want to join. That the game is receiving universal praise and it is out of reach. Top issue with the game: The new item balancing is terrible!!! I don't see why people say it's skill based now, something about getting one mushroom in 10th and the guy in front of me getting a bullet doesn't seem so skill based... also the only people the new item balancing seam to work for are that CPU's on single player grand prix. If I had a dollar for every time I was absolutely dominated by a bombardment of shells right at the end then getting a last place finish I could pay Nintendo to fix this. Love this game! Very impressed with everything so far. The atmosphere and presentation of this game's world is fantastic. I'd like to see what DLC can do for the character roster and battle mode though. Strange to see people hating on the Koopalings, had a BBQ on Sunday and they are the main characters the younger ones played with. Its obvious these characters were included for this demographic. In any case this game is awesome and I feel sorry for anyone who found it disappointing I really do. I was wondering if Nintendo is dropping my connection because of my location but I already seen a lot of people around in forums with the same problem. On top of that we still get the same fix lame chat options. There´s no voice chat and no way to even type your own messages? Nintendo put you doggieoopsie together with your online services. I can agree with most of this, though I like the Koopalings (babies and Metal Mario and Peach, no). Guess I should have have played Sonic All-Stars Transformed after MK8 so I'd be more impressed. Game is good and all but I still feel kinda disappointed. It looks and sounds good, that's fine. But... Track design isn't as impressive as it could have been, some are just downright bad like that disco level. Thankfully there are good one's like Bowser's Castle with it's tight turns. Overall the tracks are too wide and easy to drive. Items feel more balanced but you get the coin item WAY too often. I love the game!! 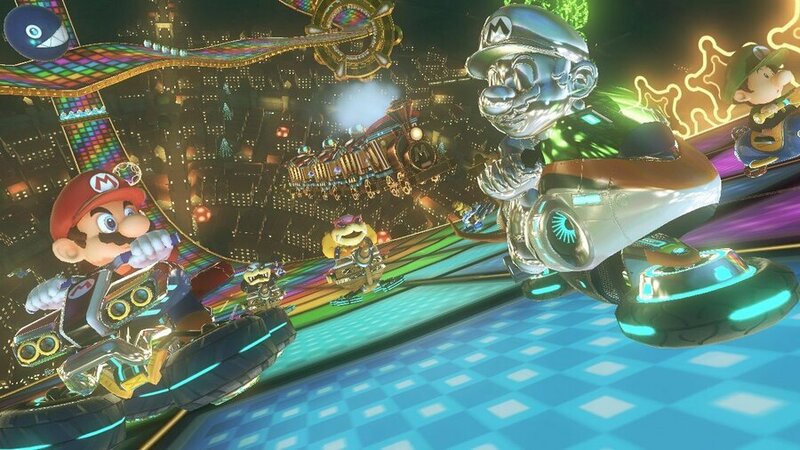 My only annoyance/HATE with MK 8 is the Retro Rainbow Road stage is a "section-style" course and not "Lap-based" because it ENDS WAY TOO QUICKLY to take in everything. I was surprise how fun MK 8 was!! Amazing!! As great as Mario Kart Wii is (or "was" in the case of online play) for single player and online play, nobody can deny that they really dropped the ball with local multiplayer, especially compared to Double Dash. Now we all know about the new highly unpopular issue with Battle Mode (although I can't see how it could be worse than MK Wii's Battle Mode), but here's what I really want to know: Did they at least bring back Multiplayer Grand Prix this time? Versus Mode in MK Wii was really lame without any CPU opponents mixed in nor any real structure to help decide a winner. Lovely game. Wish they had straight forward recap of the game but this is just as nice. Cant upload more than 60secs to youtube but if you have a recorder and missed your chance now you can go back about 10 matches youve played. Have no clue how long it stays saved but there are only to pages for your most recent. Check out what i mean with the playback i left it out of full screen so you could see that its in MKTV mode overall. @Samuel-Flutter Glad to hear I wasn't the only one. Cheers mate! @Pj1 It's okay, I just looked for a picture that showed the keyboard screen of the gamepad and printed it out. Then I just copied what I saw until I got it right.